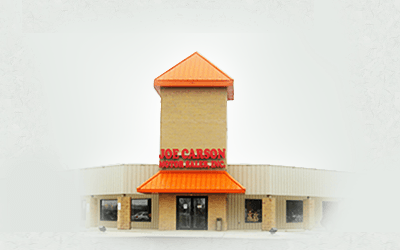 Welcome to Joe Carson Motor Sales where we are known around the area as your go-to motorcycle dealership. Since opening in 1969, we’ve brought Carroll, Oh and it’s surrounding areas nothing but the best quality in sales, service and parts. Our family owned and operated dealership is now selling motorcycles to 3rd generation riders and we’re excited to pass the love of the open road on to the next generation! Check out our virtual tour! Specializing in Harley-Davidson motorcycles for sale we also carry an extensive line of Honda motorsports vehicles for sale. If you want it, we can get it! We also offer a fantastic selection of used motorcycles for sale ranging from Can-Am’s to Harley’s to Honda’s depending upon what inventory we’ve brought in through trades. We also offer a fantastic service and parts department for all of your maintenance needs. Need financing for your next motorsport vehicle? Look no further! We offer competitive financing through our secure online financial application. Get pre-qualified before you stop in and we’ll get you riding sooner! Get serious about your Harley-Davidson and join the Central Ohio H.O.G. chapter. It’s a fun group of riders and gives you access into members only events and meetings! We’d love to see you come out and support your local Harley Owners Group chapter. We are just 15 minutes Southeast of I-270 on Business Route 33 North of Lancaster at Coonpath Road. Here are our Directions & Hours. View more in the H-D® Showroom and Honda Showroom.